Prior to being called to the Bar, Christopher completed an MPhil in International Relations at Oxford University and then worked and volunteered for NGOs in the UK and Cambodia. Christopher has a commercial practice that encompasses the whole spectrum of business and commercial disputes. He regularly advises and represents businesses in both the county and high court, and also has extensive experience of alternative dispute resolution. He has particular experience in advising firms in the construction sector in relation to commercial, insolvency and company disputes. Advising and acting for parties in civil claims that were defrauded by scams relating to bank transfers. Defending and successfully settling a claim for monies due and owing by a contractor employed to supply playground equipment nationwide. Successfully appealing a judgment that an informal IOU given by a husband to a wife was a promissory note within the meaning of the Bills of Exchange Act 1882. Advising and drafting in respect of enforcement of a legal charge given by a third party guarantor to a company’s debts. Issues of interpretation of the charge and knowledge of the guarantor. Advising and drafting in respect of a claim arising out of loans to a property development company by a private bank. Issues of economic duress and conduct by the bank. Representing creditor in personal loan recovery action. Whether payments were loan or gift. Incapacity of Defendant and its effect on evidence and conduct of trial. Subsequent order for sale again raising issues of capacity. Representing guarantors under claim for monies due under a personal guarantee arising from hire purchase and hire contracts. Penalty clauses and automatic termination. Interpretation of damages clause in agreements. Christopher has experience in professional negligence claims against many different professionals, including solicitors, surveyors, architects and financial advisors. He has particular expertise in respect of claims for professional negligence arising from construction projects. Architect’s negligence for failure to correctly supervise installation of new heating in a listed church. Issues of contractual and tortious assumption of duty. Numerous claims against surveyors arising from pre-purchase surveys of residential properties. Solicitors’ negligence in failing to properly advise in respect of quantum in a negligent surveying claim. Issues as to the correct measure of quantum in such claims. Financial advisors’ and solicitors’ negligence in respect of SDLT mitigation scheme. Issues of exclusion clauses and limitation. Solicitors’ negligence in failing to issue against financial advisor rather than mortgage company in respect of mortage mis-selling claim. Limitation in the context of a bank’s failure to carry out an annual review of interest rates in a fixed term mortgage. Christopher has appeared in numerous matters relating to personal and corporate insolvency. He has particular experience of insolvency situations involving companies in the construction sector. Acting for LPA receivers in complex High Court claim relating to an allegedly fraudulent mortgage charge. Winding up a family company on the just and equitable ground on behalf of the minority shareholders after a breakdown of trust and confidence with majority shareholder. Winding up petition on the just and equitable ground between two quasi partners in a tech startup. S.236 application for further information from a contractor on behalf of an insolvent sub-contractor in the construction sector. Acting on behalf of sub-contractors in the construction sector and their guarantors in restraining winding up petitions and opposing bankruptcy petitions. 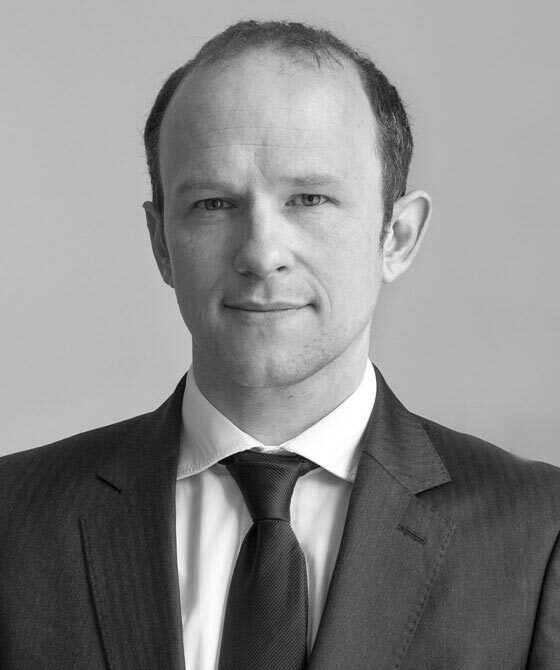 Christopher has advised and acted in relation to numerous business disputes, including partnership and shareholder disputes. He has particular experience in respect of disputes relating to companies working in the construction sector. Advising on the construction of share purchase agreements, particularly in relation to the sale of companies in the construction sector. Successfully obtaining dissolution of a partnership that ran a licensed premises where the very existence of the partnership was in dispute. Christopher Edwards considers the case of First Tower Trustees Ltd and Intertrustees Limited v CDS (Superstores International) Limited  EWCA Civ 1396 and the role of basis clauses in avoiding liability in contracts. When notifying a claim under a claim notification clause in a Share Purchase Agreement, what level of detail does the purchaser need to give? Christopher Edwards analyses the Court of Appeal’s most recent consideration of the issue (Teoco UK Ltd v Aircom Jersey 4 Ltd  EWCA Civ 23). Christopher Edwards provides an overview of the law relating to the Commercial Agents Directive and its latest developments in Webinar for Lexis Nexis. Continuing breach is an area of law that has suffered from a level of uncertainty. In the context of professional risk, it is often important to limitation arguments, in order to determine when a breach of duty has occurred. Christopher Edwards (Call 2008) analyses the most recent contribution of the Court of Appeal, in Capita (Banstead 2011) Ltd v. RFIB Group Ltd  EWCA Civ 310. Christopher has advised and represented clients on matters ranging from residential possession to boundary disputes and nuisance claims. He also has experience of drafting notices, schedules and pleadings in relation to these matters. Right of way for ‘boxed in’ residential property in new development. Acting in proprietary estoppel claim arising from long and complex division of family estate. Mortgage possession case on behalf of mortgagor involving claims of mis-selling, economic duress and misrepresentation by mortgagee. 4 day boundary dispute involving witness evidence going back 50 years as well as expert and stereoscopic photographic evidence. Interpretation of conveyances, adverse possession, demarcating boundaries by agreement. Christopher regularly advises and represents clients in respect of a wide range construction and engineering disputes, ranging from residential property disputes to commercial developments to nationwide installation projects. He has a particular expertise in respect of professional negligence claims in the construction field. Christopher also has extensive experience of insolvency and company disputes relating to companies in the construction sector and their guarantors. Successfully defending significant adjudication claiming professional negligence in respect of a firm of quantity surveyors and costs consultants. Issues relating to the proper valuation of work carried out under an NEC3 Professional Services Short Contracts. Multi-day trial arising out of extensive roofing works at a residential property. Issues relating to contractual liability compared to tortuous liability. Advising in respect of the apportionment of liability between contractors and professionals in a claim for the inadequate provision of heating for a restored medieval church. Multi-day trial arising out of alleged negligent application of cladding system to residential property. Acting in a trial of a preliminary issue – whether invoice was a payment notice under s.110A(3) Housing Grants, Construction and Regeneration Act 1996. Christopher Edwards is qualified to accept instructions directly from members of the public and professional clients under the Direct Public Access scheme.